The purpose of my work was never to destroy but always to create, to construct bridges, because we must live in the hope that humankind will draw together and that the better we understand each other the easier this will become. You most likely know the work of Czech painter Alphonse Mucha (1860-1939) for his extremely popular posters that set the style for and were the epitome of the Art Nouveau movement. It was beautiful and graceful work much like the piece shown here on the right. 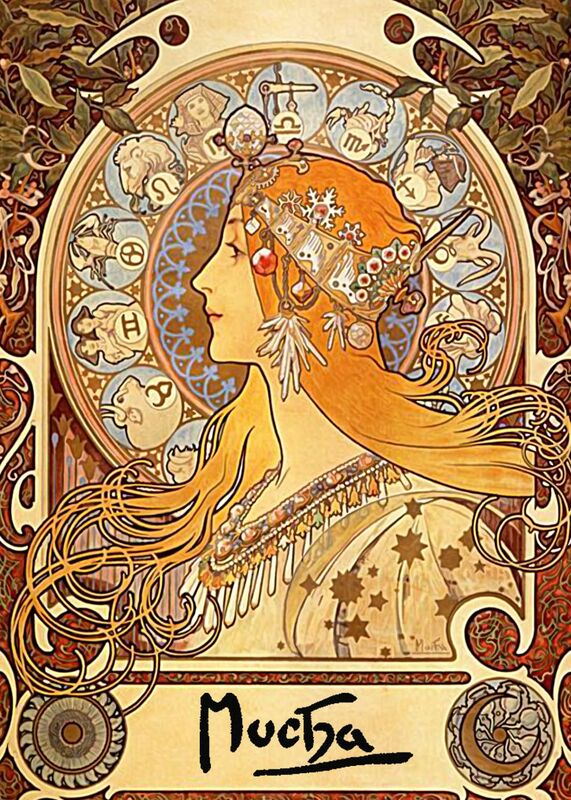 That was definitely the extent of my knowledge about Mucha’s work. And that alone would be a worthy enough achievement for most artists. 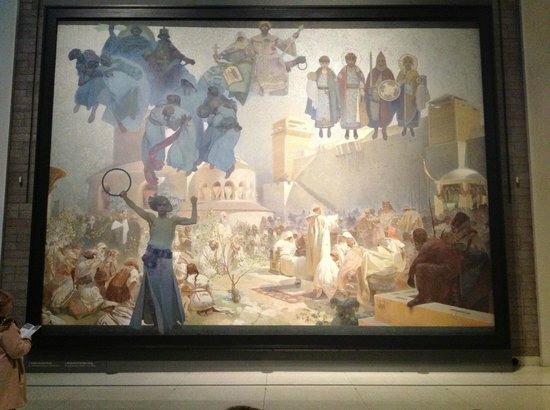 But his greatest work may well be his monumental Slav Epic series. 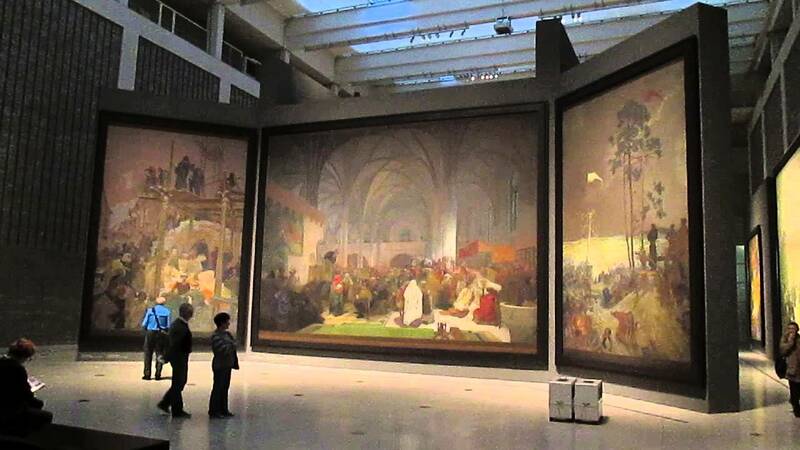 The Slav Epic is comprised of 20 large works that depict the history and the mythology of the Slavic people. It was painted over the course of 16 years with the aid of financial support of American industrialist/philanthropist Charles Crane. 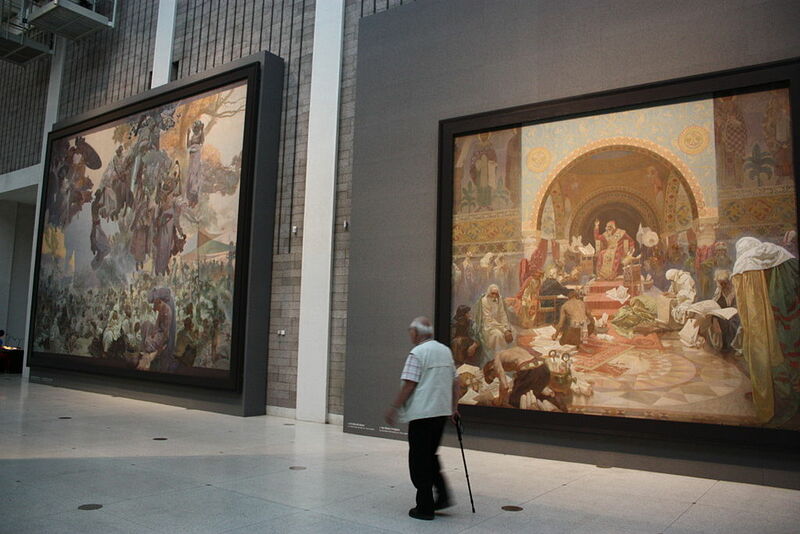 The works are all painted on a grand scale with some of them measuring 20 feet in height and 25 feet in width. They somehow survived Czech occupations by both Nazis and Soviets who both saw the work as being counter to their ideologies. 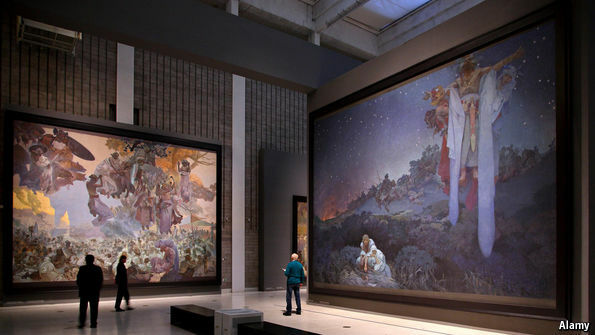 Mucha died soon after being interviewed by the Gestapo in 1939. The paintings are now in possession of the Czech government who are in the process of creating a museum to permanently display this magnificent work. 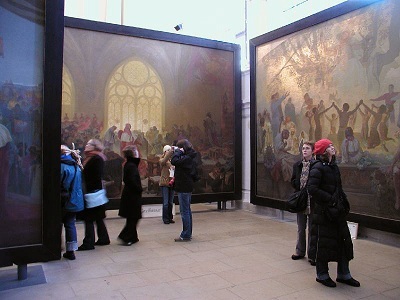 I am sharing a number of images below that show them with viewers so as to give an idea of the sheer scale of the works. Pretty amazing. Good reason to get to Prague. A wonderful post. 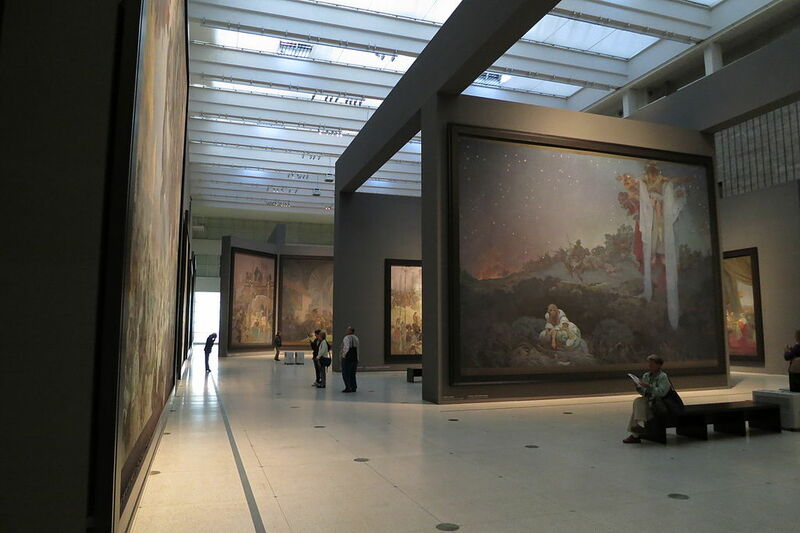 A friend just was in Paris, and saw this Mucha exhibit. She just posted about it today — always, with these coincidences! 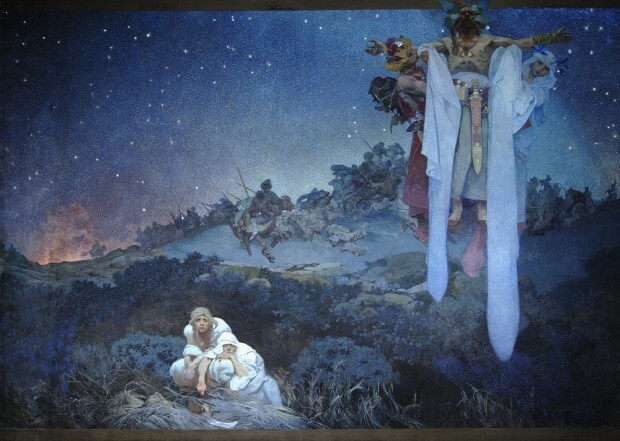 By the way, if you haven’t noticed (and there’s no reason you should) my avatar is from Mucha’s “Poetry,” taken from his four arts series. 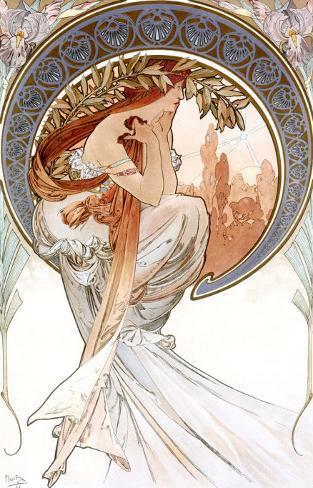 I did notice your Mucha avatar but actually forgot about it until you mentioned it. Thanks for the info on the Mucha exhibit.